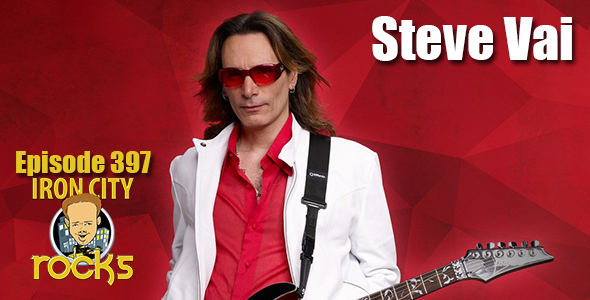 In Episode 397 of the Iron City Rocks Podcast we are joined by Steve Vai. Steve is currently on tour with his Generation Axe show featuring Steve Vai, Zakk Wylde, Yngwie Malmsteen, Nuno Bettencourt, and Tosin Abasi. Steve talks with us about the inspiration for this musical collaboration, how it differs from the G3 shows that he has been involved with, his plans for 2019 and much, much more.